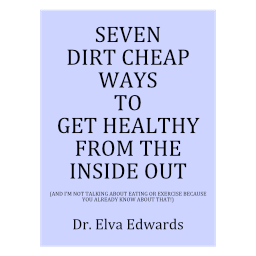 Chemistry – Dr. Elva Edwards, D.C.
Chemistry refers to the nutrition in the body. It refers to the foods you eat as well as any supplements you take. Many people come to me for the purpose of avoiding medications, like antibiotics, or to help them restore their health. Often it is digestive discomfort that brings them to my office. The biggest complaint about chiropractic is “I feel better but I have to keep going back.” My experience is that happens most often when the chemistry needs attention. If you remember the body can go out of alignment for three reasons: 1) the structure has been injured, like in a fall or car accident, 2) some kind of poison, like eating food that isn’t good for us, and 3) emotional/energetic overload which is what happens when something shocking happens, like 9-11. So when we eat something, say gluten, that our body doesn’t like, it can make a bone go out of alignment. A personal example is that if I take something I shouldn’t take, I will have a vertebra go out of alignment in my neck. Never underestimate the importance of the chemistry work. In my office, when people need chemical work, I test to see what they need and also what foods they need to avoid. Just as our house has to have a good cleaning once in awhile, our bodies need to have one too.